FPR yazanye inzara nka tronc commun,warwaye ryari ,nzaramba n'izindi nyinshi._FPR yatwaye ibishanga,itegeka guhinga igihingwa kimwe,isoresha akadasoreshwa,ubushomeri bumereye nabi #urubyiruko kdi ntangamba zihari zo kubuhashya. Rubyiruko muhaguruke turengera ahazaza hacu. BON NOMBRE D'OPPOSANTS DE KAGAME&FPR MANQUENT DE VISION. Souvent Je tombe ébahi d'entendre quelques soi-disants opposants du régime Kagame en train de crier haro sur les FDLR. Oui, il ya autant de ventriotes qui travaillent pour le compte de l'oppresseur nommément F. Twagiramungu, T. Rwaka et d'autres acolytes; mais sur ce point, Je voudrais révéler une chose à ces traîtres. Officiellement qu'il soit su que toute ménace menée contre les FDLR est un effort inutile. Si la communauté internationale avait trouvé quelque chose d'illégitimité chez les FDLR, elle les aurait déjà essuyées de la surface du globe tel qu'a été le cas du M23. Vouloir défendre le FPR en défaveur des FDLR c'est s'afficher comme l'avocat du diable parceque avec le temps, l'internet, les rapports onusiens et les films documentaires le monde connaît déjà toutes atrocités commises par le FPR jusqu'aux entrailles. Pour conclure, l'opposition rwandaise, sans d'abord avoir une plate-forme regroupée au tour des FDLR, ne peut aboutir à rien. 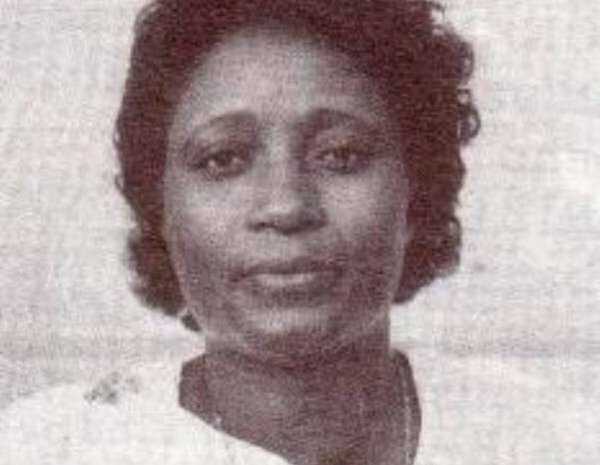 A FORGOTTEN HEROINE, NTAMABYARIRO AGNES (27th MAY 1997- 27th MAY 2017). When one tries to google the name of Agnes Ntamabyariro, the results will be “About 1,530 results (0.31 seconds) ” ; this is the lady that her blood was rather traded on 27th May 1997. Few people might have not be aware about the crime committed on that fateful morning but if “good people” could have tried like the late Fr Miha attempted as he published it in the below editorial in the once blue pages of Ichengelo Magazine so Edem K G Djokotoe echoed him in “Do we hear them wen they do cry” as it was published on 13th October 2006 in the Post Newspaper, this could have enable the culprits being brought to book. It is never too late hence this reminder. Africa has great difficulties in solving multiple problems that are self-inflicted or are being imposed on her by external circumstances. During the past two decades, there was laid on her shoulders another problem of unmeasurable proportion: refugees. Military coups and other internal or external armed conflicts as well as corrupt, power hungry leaders forced millions of people to leave their homes and search for a safer future. During the days of the Rwandan catastrophe, the mass media was full of horrifying stories. Zambia’s hospitality became known among the refugees. However, as time went on, hospitality of all neighbours – even Zambia -became thinner and more meager by the day. Tanzania pushed them back to the border; Mr. Kabila was finishing them with his machetes; Zambia signed an Extradition Treaty – a disgrace for justice. The treaty basically says: we don’t want you, get out. The policy of all military govern­ments is to smash those who disagree with their rule. The present Rwandan military government is not an exception. Their agents for “justice” are busy making thousands of Rwandans disappear not only in Rwanda but throughout Africa. Who is guilty for 1994 genocide? The fiftyniners, as the minority Tutzi government was called, could not forget their loss of power in 1959, which was given to them by their colonial masters. Mr. Museveni’s coming into power in Uganda was a crucial turning point also for Rwanda. 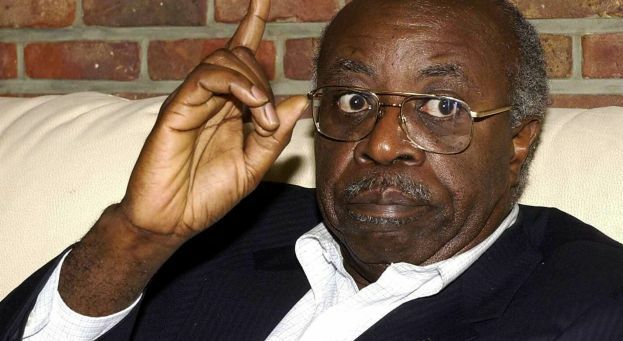 Of the same tribe as fiftyniners, he masterminded and fully supported military incursions into Rwanda in order to overthrow the government and bring back into power, his own ethnic group. This brought back old memories of the suffering of the majority population under minority rule, destabilized the economy and initiated hatred. The culmination of the problem came in the massacre of 1994 when the sentiments were so high, that the situation was out of control. No one could stop it! It is very unfortunate that Zambia had to trample on justice. This is a betrayal of those who run to her for protection. Rushing to sign an Extra­dition Treaty with Rwandan Govern­ment is even more unfortunate. Adding to that unfortunate behaviour, Zambia started to lock up and extradite some individuals before the signing of the Treaty of Extradition. Moreover this Treaty bypasses the International Tribunal for Rwanda. The disappearance in Mufulira of the former minister Agnes Ntamabyaliro Rutagwera, who had sought refuge in Zambia since 1995 has caused anxiety among refugees and all justice loving people. 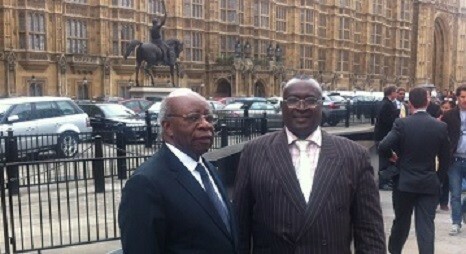 It puts in question integrity of the Zambian government’s will for justice and true peace in Rwanda. Was Agnes wanted by the “International Tribunal? If not, why was she then abducted by the Zambian Immigration Officers on 27th May 1997 around 09.30 hrs and sent back to Rwanda? Hundreds of refugees are on the run again. To where? God alone knows. They can no longer trust anyone. Once again they have been betrayed. 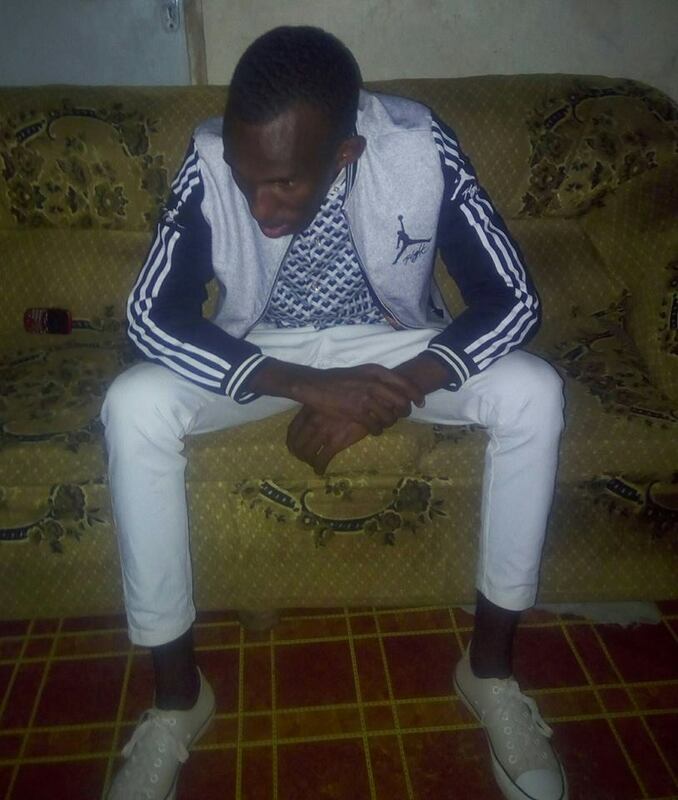 Students can hardly study, some of them have disappeared, while others are shivering for fear in their homes, waiting for a fatal knock on the door by Immigration or Rwandan agents for “justice”. An ancient Greek saying goes that: violence gives birth to fresh violence (bia bian tictey). The present govern­ment of Rwanda by “slaughtering over 3000 innocent people during the past few months” (ZNBC Main News 15th August, 1997) and by “torture and other forms of cruel, inhumane and degrading treatment” (Amnesty International) wants to get rid of all those who oppose their military rule. Most probably hard headed, despotic rulers of Africa can learn nothing from Mr. Mandela in the new South Africa who started to govern that country on the basis of reconciliation rather than vengeance and witch hunting. Every truth loving person can understand that war is a special situation where hatred is the rule of the day. In South Africa even the most guilty ones are now able to go home on their own to face justice through love and forgiveness before the Truth Commission. Can the same be said for Rwanda where the minority Tutzi military government seeks “vengeance through execution and torture” (Amnesty International). Can Zambia have a clear conscience in sending people back to such a situation just because she gets emotional at a particular time or is in need of a couple of dollars more for her cement and other exports? Pilate also washed his hands, while the “guilty – Innocent One” had to die on the cross. Every honest, peace loving person must know that there should be no extradition of any kind with any government which is in a war situation. Our good will could have been shown by cooperating with the International Tribunal. But events are pointing in the opposite direction. Is this a case that the birds of the same feather flock together? We sincerely hope that there will be no more secret or public extradition to any country – especially not to the Great Lake Region except through the International Tribunal. In this way we may show to God and to the world that we are not for so called “peace” through vengeance but rather for peace and justice through love and reconciliation. Extradition of any person to Rwanda – bypassing the International Tribunal – is a gross violation of basic human rights as well as a crime against justice. We champions of Christianity in a Christian country could and should remember that. Rwanda has spent millions of dollars to sell its image both in the region and abroad as the best of all East African countries. It has used the Rwanda genocide to play a victim card which has saw the international donation quadruple. It has also bought most of the media personality in the region in order to continue with their smear campaign to lie to the people in East Africa and abroad that Rwanda is the haven and a corruption free zone. However, what most people don't know is that Rwanda is the graveyard in the backyard of the East African Community. In fact for most Rwandans Rwanda is like Gehennam of their world. When we talk about most of the Rwandans we are here talking about the majority of Rwandans who are from the Hutu tribe. Before we understand what happened to Mr. Larry Madowo, let's have a little bit of historical background of the people of Rwanda that most of us the people in East Africa dont understand. 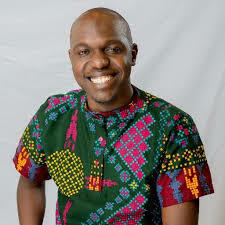 This history will help us understand why the Kenyan journalist Larry Madowo was almost killed in Rwanda, thank God he did no open the hotel door otherwise he could have ended up in the nearby River Nyaburungu locally known as Nyabarongo. Mr Larry Madowo was almost killed because they had thought that he is one of the Hutu kids fled the RPF massacre of 1995-95, 1997 into Kenya. Some of these kids got opportunities to go into the Kenyan education system and became like Kenyans. They speak good English, Kiswahili, Kikuyu, Jaluo, Kamba, Luhya, among other Kenyan diverse languages. These Rwandan kids in Nairobi went to Kenyan schools made Kenyan friends and have succeeded. Since most of them come from the Hutu tribe (farmers) they blended in well with the Kenyan society. Some of them got good jobs with different Kenyan institutions such as the media industries, tourism and hotels, NGOs, and education systems. Others are successful business people. Therefore, you cannot tell whether they are Kenyans or not. Many Kenyan people look like Hutus, especially Luhyas, Luos, and those who come from near Mt. Kenya. When they go to Rwanda where it is a police state, then the RPF, Kagame outfit spies become more cautious thinking that these might be some of the Hutus who took refuge in Kenya. They observe them closely. 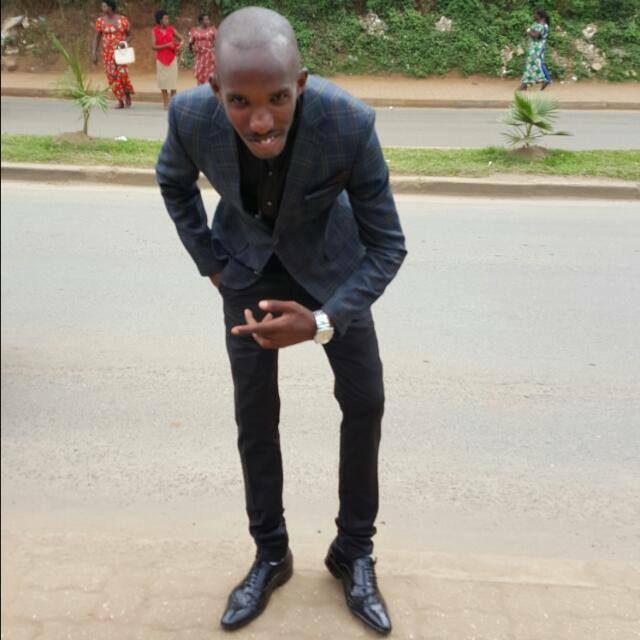 This is where Larry Madowo got mistaken as a Hutu and was nearly killed, if it were not God. 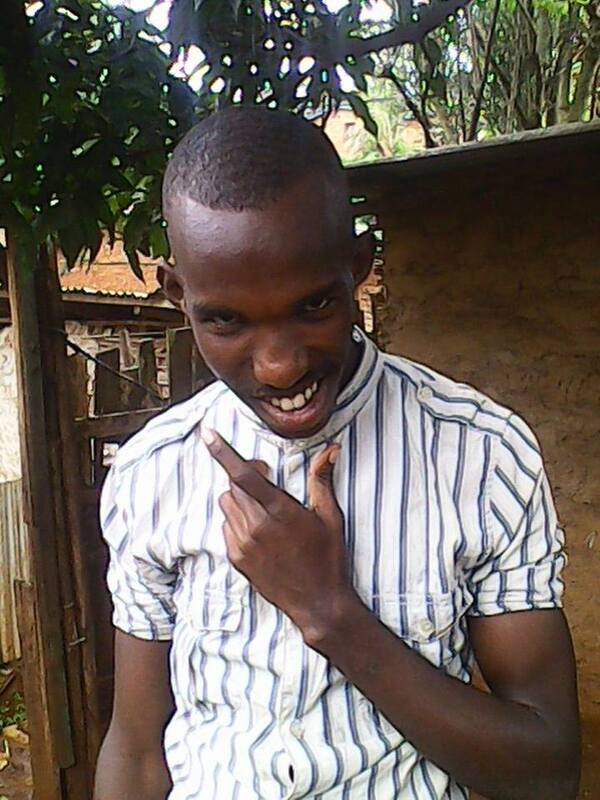 HOW DID LARRY MADOWO TROUBLE START? In 2014, Rwanda started a new wave of assassinating all Rwandan refugees who are opposed to the dictatorial regime of the Tutsi minority in Rwanda. 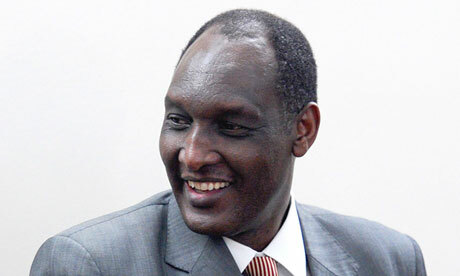 The plan was one of its VISION 2050 to make sure that by 2050 Tutsis will be the majority population in Rwanda. Here we have to remind you that Rwanda is inhabited by three different tribes. They all share language but nothing else. Hutus are the majority who counts 85% of the Rwandan population, Tutsis are the second largest tribe in Rwanda with only 14% of the Rwandan population, the third and the smallest one is the Twa tribe who counts for only 1% of the Rwandan population. With this program to make sure they kill all Hutus who have gone to school whether inside Rwanda or outside, the Rwandan embassy in Nairobi embarked on a new wave of killing and propaganda. With the propaganda, the Rwandan ambassador to Nairobi Kimonyo asked to identify Kenyan journalists who can help Rwanda in its program to sanitize the Rwanda image which has been dimming of let. This was after the Kenyan journalist LEVI KONES working for KASS FM embarrassed Paul Kagame on twitter begging the dictator not to kill his legacy by doctoring the Rwandan constitution in order to remove the time limit. As Rwanda was still reeling from what had happened when Kenyans swam into twitter creating a hashtag #SomeOneTellKagame where Levi had asked Kagame not to run again....“I really hope sir, you will not ruin your legacy by being President for life.” (A debate is going on in Rwanda as to whether to abolish term limits and effectively keep the current president in office for a long time). As stupid as RPF is Kagame could not stand it. He forgot that he was talking to a Kenyan chap whose country has been enjoying peace and democracy for awhile now. Then the Rwandan dictator hit back by telling Mr Kones that ““Worry more about your own legacy … if you got any at all to think about!” which sparked a war on Twitter between the Kenyan millenials who have grown seeing their country enjoying democracy versus the Rwandan millenials who have grown being intimidated in all their lives with a fear to be branded a genocide deniers. Kagame thought he was talking to his fearstricken millenials but it did not take long before he realized that he was in another unfamiliar territory. Kenyans showed him where to sit and he will never recover from it. It is during this time that Rwandan ambassador to Nairobi Kimonyo started looking for Kenyan journalists to sanitize his dictator's image among Kenyans, then Larry Madowos name was tossed around the corridors of the Rwandan embassy in Kenya. When Mr Kimonyo called Larry and asked him to meet at the Grand Regency now Loica Hotel, Mr Madowo had no clue why Mr. Kimonyo was looking for him. Then when he arrived he was received by one of the Rwandan embassy staff who directed him to where Ambassador Kimonyo was sitting in room 201. It is hear that LARRY MADOWO was told that Kimonyo has a job for him that was going to pay him well. When Madowo was told it was a propaganda war job he declined it. "Sir I am not used to telling lies," he replied calming but smiling. When Kimonyo insisted Madowo got pissed off. Madowo continued, "Mr Kimonyo, here in Kenya our readers are not as stupid as Rwandans. You saw how they swarmed on your president. I dont want to go throguh the same sir look for somebody else," then he left. When Kimonyo narrated his encounter with Madowo, "none uyu mugabo yaba ari interhamwe twibeshyeho!" (sir this man might be interhamwe that we mistook 'meaning a Hutu as Tutsis refer to Hutus in Rwanda). "I dont know," Kimonyo replied and they both left the hotel. 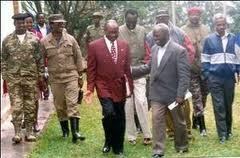 Because of this incident, Kimonyo and the Rwandan Tutsi led government has never forgiven Mr Madowo. This is the origin of what transpired in Rwanda when Mr. Madow visited Rwanda. they wanted to kill him. 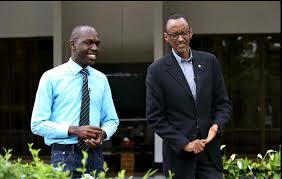 Later Madowo decided to visit Rwanda and interview Paul Kagame. Because Kagame has been trying so hard to sell his image in East Africa especially when the life precedence is concerned, Kagame accorded Madowo interview. However since there are no dull days in Madowo life and interviews he started asking hard questions to President Kagame who didn't like it. Then they decided to eliminate Madowo and confiscate the tapes that he had recorded president Kagame. All these together almost cost madowo his life. At first when Madow arrived in Kigali, RPF intelligence had already set aside a Tutsi girl for Madowo to entertain him while he was in Kigali. This was an ambush to find the best way to get rid of Madowo without any trace. The plan was that a lady called Akana Faiza from Kicukiro was to initiate the move and befriend Madowo at the Hotel where he was staying. 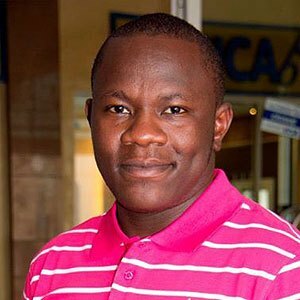 However, when Madowo arrived at the hotel he had another Kenyan friend who is a jounalist in Rwanda Mr. Ken Eugene Anangwe who works for Radio 10 FM/TV. He previously worked for the Rwandan TV and the Kenyan Citzen TV before joining Radio 10. 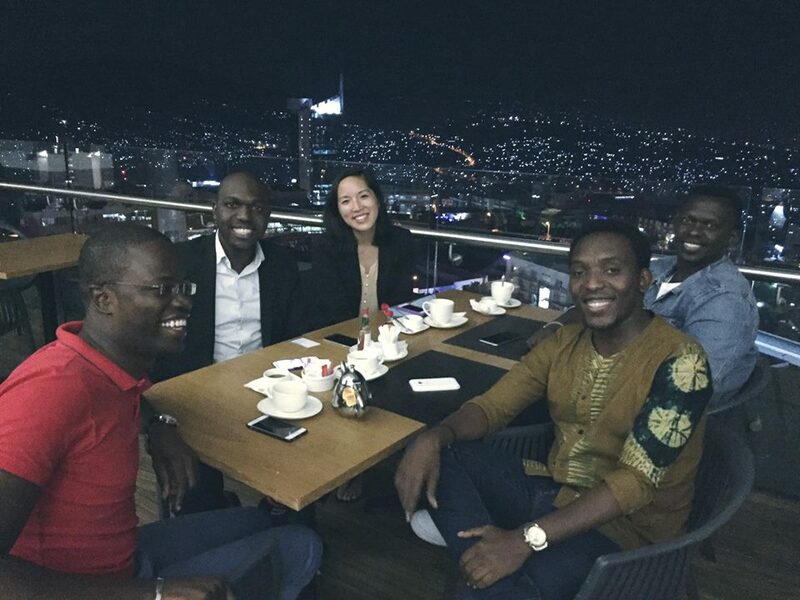 Ken Eugene Anangwe took LARRY MADOWO to another Kenyan Luhya man who works as a university don in Kigali. that is where they had the Kenyan tea and the dinner was served. There were other many Kenyans who came to welcome Mr. Madowo. "Tulipiga story halafu tukajivinjae," one of the people who were present told this newspaper. However, little did they know that the Rwandan RPF had plotted to kill Mr. Madowo because he refused to do their dirty job. 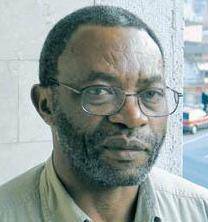 When it all failed that is why they had to use another Tutsi-Rwando-Kenyan Mr. Njahi Ismail Karibata. 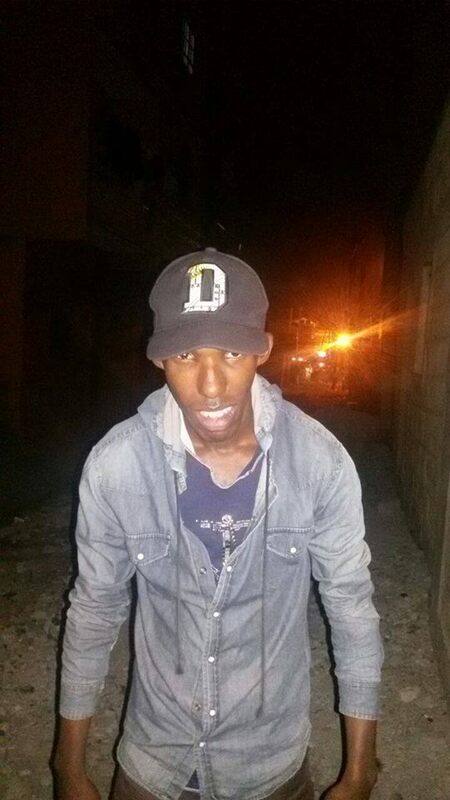 This guy who was born and bred in Kenya. His father is a Kenyan from Mt. 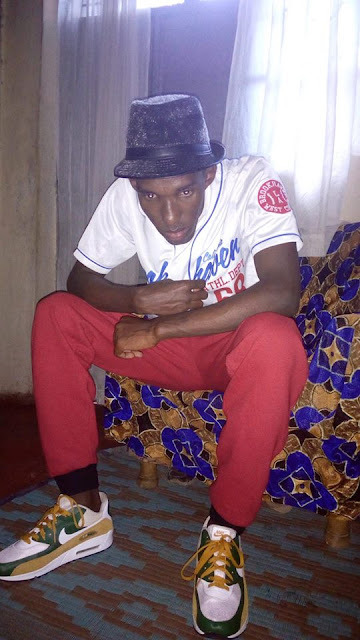 Kenya in Kerugoya whereas his mother is a Rwandan Tutsi refugee who fled Rwanda in 1960s when the Tutsi monarch collapsed. 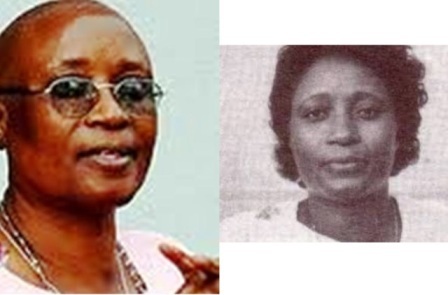 She then lived in Kampala, then Mombasa where she met Mr. Njahi the father to Mr. Njahi Ismail Karibata. When RPF spies used Njahi its because they wanted to lure Larry Madowo into the DMI trap. 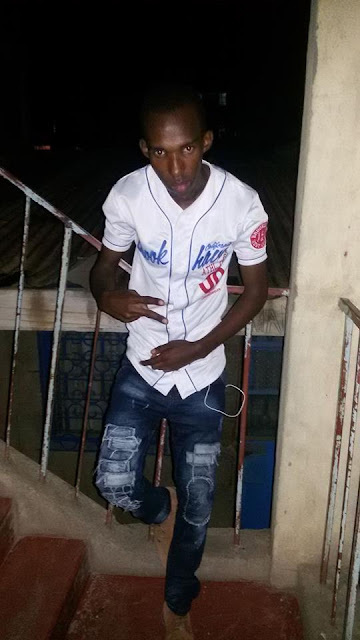 Thank God the prayers he had that night worked for him, otherwise we would be talking on retrieving his body from Lake Rweru in Burundi via River Nyabarongo. The history of Ken Eugene Anangwe in Rwanda is another drama. 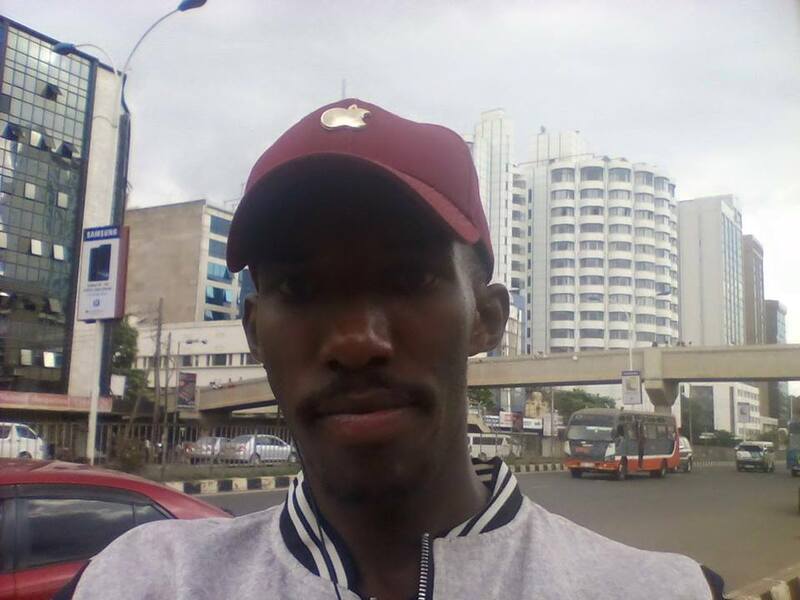 It is for another day but what we can say is that Mr. Ken Eugene Anangwe was denied a job in Rwanda for several times simply because the Tutsi regime thought he looked Hutu therefore he might have been a Rwandan Hutu who grew up in Kenya and now is coming back to take their jobs. In 1990s when the RPF invaded Rwanda from Uganda led by the Tutsis who had been living in uganda since the Tutsi 400 years came to an end, Hutus were 88% of the Rwandan population. However, today RPF led by Paul Kagame had managed to kill at least 3% of the Rwandan Hutu population in its course of fulfilling its VISION 2050. Kagame's vision is to make sure that by 2050 Tutsis will be the majority in all aspects of the Rwandan life whether in politics, which he has already achieved in the last 20 years, in education (Tutsis are also the majority in all Rwandan Universities, they are the ones who are allowed to go to study abroad on any scholarships, and RPF established different funds to sponsor Tutsi kids from kindergarten all the way to university). In Rwanda a Hutu is not allowed Hutus are only for paying taxes and levies). To be a Hutu in Rwanda is to experience ten times what Larry Maduwo experienced over a single night in Kigali. Mr Madowo if you want to come back to Rwanda I would advise you to alert the Kenyan embassy in Kigali first before you can cross the Gatuna border. 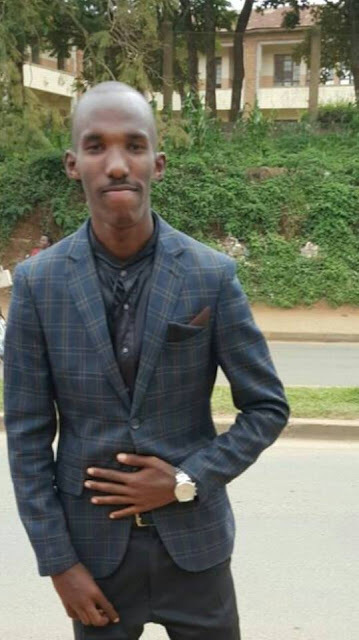 We Rwandans have become immune to such incidences because there is no day that a Hutu young man is not killed or kidnapped by the Tutsi regime. We are here to stay waiting for the KAGAME VISION 2050 the day all Hutus would have been elimited and fed to the Kagames crocodiles farm on Lake Muhazi. Pr GITWAZA numwe mubatutsi bakomeye knadi babahezanguni babayeho mugihe cyacu. Uretse uburimanganyi, ubuhemu, nubukobanyi, Pr Gitwaza avugwaho ubusambanyi bukabije. Ibyo bikaba byarateye Itorero rya Dr Paul Gitwaza muri iyi minsi ryibasiwe n’akaga gakomeye karimo gucikamo ibice (Kwicomokora), kutumvikana, kutizerana, amanyanga, nubusambanyi no gupfubura no kwikanyiza ibi akaba ari bimwe mu bitumye iri torero risa nirigeze aharindimuka. Ibi byose bikaba bigaragarira muburyo bunyuranye abayoboke baryo batazi igihe itorero ryatangiriye ndetse nabayobozi ubwabo ntibazi igihe ryandikiwe. Bamwe bavuga ko Zion Temple (Itorero rya Dr Gitwaza) yatangiye mu mwaka wa 1995, abandi ngo ni mu 1996 abandi mu 1999. Dr Gitwaza amaze yavuye muri Congo nyuma azakwerekeza iya nyuma ya i Nairobi aza kuhava kuvuga ubutumwa mu Rwanda, ibyo gukomereza muri Amerika birangirira aho. Tubibutseko hari umugambi wa Amerika wo gufata abatutsi bose bo mukarere ikabajyana muri America ikazongera kubakoresha baza kubuza amahoro akarere nimururwo rwego Gitwaza yagombaga kujya USA. Mu mwaka w’i 2004, uwari Vice mayor w’umujyi wa Kigali witwaga Rutabayiru, umugabo wahoze ari impunzi i Burundi, yamenye ko umukobwa we atwite umwana w’umuhutu. Uwo musore wamuteye inda bariganaga mu ishuli rikuru rya KIST. Barakundanye rero batitaye ku moko yabo noneho igihe kigeze umukobwa abwira nyina ko afite umukunzi ashaka kuzazana i muhira kugirango bamenyane hanyuma hazakulikireho imihango ya kinyarwanda yo gusaba umugeni, cyane ko yari anatwite inda ye. Inkuru yageze kuri se igihugu gicika umugongo. Amusaba ko iyo nda bayikuramo ariko umukobwa we agira ubutwari bwo kubyanga kuko yakundaga umuhungu cyane. Umugabo yahise ashaka abagizi ba nabi batangira gutera umusore ubwoba ndetse bimuviramo no guhunga igihugu. Nyamugabo ntiyarekeye aho ahubwo yashatse abantu bafata wa mukobwa we bamuha ibinini bikuramo inda ku ngufu. Uyu Rutabayiru yanyuze imbere y’urukiko rusanga ibyo yakoze bidakabije, rumuhanisha gutaha iwe mu rugo ubuzima bugakomeza ! Iyo byibuze bamuhanisha kujya avugira agasengesho uwo muziranenge yambuye ubuzima! Ese mbaze. Iyo umubyeyi wakoze ibyo aza kuba umuhutu wanze ko umukobwa we abyarana n’umututsi, mukeka ko yari kuba umwere nka Rutabayiru, cyangwa impembe zari gukomana ngo Ingengabitekerezo ya jenoside irakomeje? Mu Rwanda hasigaye hari ubucamanza bubiri, bugenewe ibyiciro bibiri! Intumwa ya Satani Gitwaza, yirukanye aba Bishop batatu n’umupasiteri umwe mu itorero ayoboye rya Zion Temple aho abashinja kugumuka, yanahaye kandi uburenganzira abashaka kubakurikire aho bagiye. 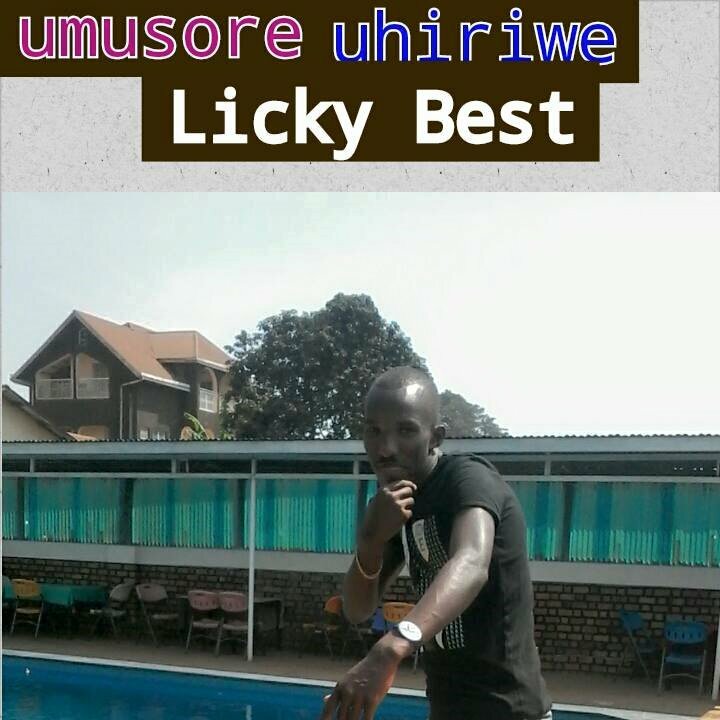 Yabaturiyeho Umugisha w’Imana. Intumwa ya Satani Dr Paul Gitwaza, yatangaje ku mugaragaro ko bamwe mu bakozi b’Imana bamufashaga mu murimo mu itorero rya Zion Temple aho riri hose ku Isi batakiri kumwe nawe, ko nta burenganzira na bucye bwo kongera kubwiriza mu nsengero za Zion Temple aho ziri hose. Intumwa ya Satani Paul Gitwaza, avuga ko aba bakozi b’Imana birukanywe muri Zion Temple bagumutse mu itorero bakajya kwifatanya n’abandi ashinja kuba baratwaye itorero n’ibikoresho. 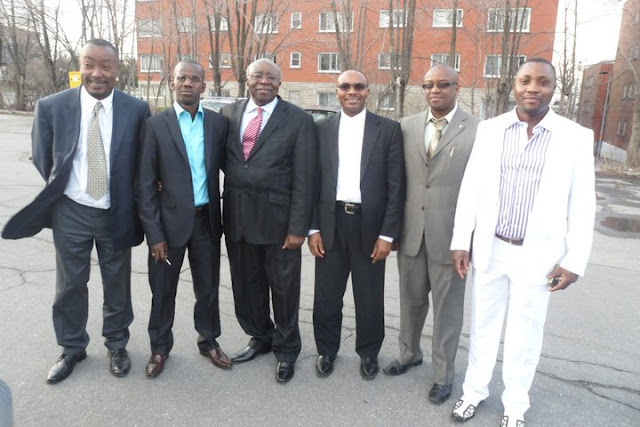 Abirukanywe nkuko Intumwa ya Satani Paul Gitwaza abivuga ni ; Bishop Bienvenue Kukimunu, Bishop Claude Okitembo Djessa, Bishop Richard Muya, Bishop Dieudone Vuningoma na Pasiteri Kamanzi Patrick. Aba bose ngo ntabwo bakibarizwa mu muryango wa Zion Temple. Intumwa ya Satani Gitwaza, avuga kandi ko nka Zion Temple bazashyigikira ibyo aba birukanywe bakora nihaba Umwuka w’Imana no guca bugufi, ko kandi ni bagaruka bazakirwa ngo kuko itorero rya Kirisito igihe cyose ari idirishya ry’Urukundo, idirishya ry’imbabazi. Gusa na none ngo guca bugufi no kwihana kutarimo uburyarya no kubeshyana ngo nibyo byazatuma bakomezanya hamwe. Yahaye kandi uburenganzira umukirisito wese wumva ashaka gukurikira abagumutse bagacibwa muri Zion Temple kubakurikira. Aha yagize ati :” Rero bakirisito ba Zion Temple, abarimo bajya gusengera kuri Amani guest house n’ahandi hose ndabasaba ngo abifuza gukorana nabo mwese mugende kandi turabaha urwandiko( Recommandation). Uwumva ko Bishop ari umubyeyi we yaramufashije mu buzima, afitanye isano nawe, yifuza gukorana nawe, ndasaba adiministrateur Bulambo umwandikire urwandiko rwiza amushimire agende.” Gusa ngo ikitazihanganirwa ni ukurya hombi( kuhaba hombi). Ugiye ngo umwanya n’imirimo yari afite muri Zion Temple nta kongera kubitekereza, uzaza wese azaza nk’umushyitsi. 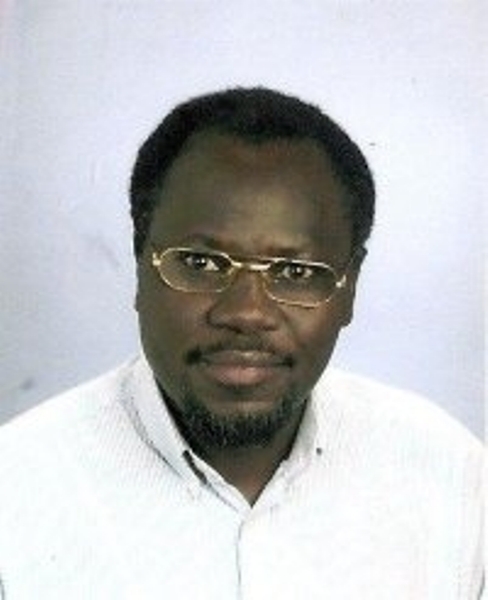 Joel Sengoga yatanze miliyoni y’amafaranga ari muri gahunda zo gushaka aho Zion Temple ya Gitwaza izajya iteranira ariko ayo mafaranga ku babizi afatwa nka ruswa yatanzwe aho kuba aya komisiyo. Felix Ngando, Emile Charles Ngendahayo na Gakunde Felex bari bagize komite ya Zion Temple, ariko habamo amakimbirane kuko Ngando yategetse ko na we yasengerwa. Bitangira Gitwaza yavugaga ko nta rindi shami azafungura ngo niko Imana yamubwiye kandi ngo atazarenza abakirisitu 200.000. Shumbusho yashatse kwamburwa na Gitwaza Zion ya Arusha ariko arayimwima ayiyandikishaho, kuko atagombaga kugaruka mu Rwanda kubera ko akazi ke kari karangiye ataza ngo abe umushomeri. Urusengero rwa Rwamagana rwatangiwe n’umuntu umwe amaze kurwubaka, Gitwaza ashaka kurumwaka ashyiraho Kalisa wahoze ayoboye isosiye ishinzwe umutekano nyuma yo kuva mu gipolisi, akaba ari yo ntandaro y’ibyabayeyo ngo bashakaga gutwikisha Gitwaza lisansi ndetse bamwe bagafungwa kubera ko yashakaga kubanyaga urusengero kandi nta kintu yabafashije ajya kurishinga. Ngo nta n’ibati yabahayeho mu kuyubaka. Zion Temple ya Kinshasa yayatse Boudouin na ba Muya. Bishop Bienvenu Kukimunu yageze mu Burayi aherekeje umuntu wari waje muri Afurika Haguruka aturutse i Burayi akaza gupfira mu Rwanda. Bishop Bienvenu yari ashinzwe ivugabutumwa akaba ari yo mpamvu yaherekeje umurambo, uko niko yageze i Burayi. Ageze i Burayi abakristo bamusaba ko bakodesha ahantu akabigisha nk’ukwezi, agumayo gutyo. Hashize imyaka nk’ibiri umugore we yahise abona ibyangombwa amusangayo bagumayo. Bishop Bienvenu ni we wishingiye Zion Temple, Gitwaza utarabigizemo uruhare nkuko amakuru abivuga aramutereta iramwitirirwa. Inama yabereye kuri Amani Guest house Kicukiro yateraniyemo abashumba bakuru ba Zion, na we yari yayijemo cyane ko Gitwaza yari yamaze kwirukana abo bakoranaga bose, Bishop Bienvenu asubiye I Burayi ahita ahindura izina rya Zion ndetse n’abakirisitu bose baramukurikira, akaba ari ikintu gihangayikishije Dr Gitwaza kugeza ubwo anabyiyandikira kuri facebook. Bishop Belge yifunguriye itorero Denmark Gitwaza amusaba ko yayita Zion Temple, ariko na yo ngo ntikiri mu maboko y’umushumba mukuru wa Zion ku isi nkuko bijya bivugwa. Amakuru avuga ko Dr Gitwaza yaciye gutumira abavugabutumwa bakomeye mu giterane cy’ Afurika haguruka. Uje muri Afurika Haguruka ntagaruka. Pasiteri Boucher w’umutanzaniya uba Canada uhafite itorero akaba afite n’uruganda rukora Guitar yashwanye na Gitwaza ku mpamvu nkishakisha. Mu iperereza nakoze, abakirisitu basabwe gutanga ibihumbi maganabiri nk’umugabane shingiro (200.000 frs), mu nama bakoraga basabaga ko umugabane shingiro washyirwa ku ku bihumbi 50, Gitwaza arabyanga. Icyo abakirisitu bakoze, batanze imigabane bageza kuri miliyoni 260 kandi BNR yarabasabaga kuba bafite nibura miliyoni 300. Miliyoni 40 zarabuze bituma Gitwaza avuga ko bakwiye kugura inzu Nyarutarama yari yashyizwe ku cyamunara ibya banki bikarangirira aho. Amakuru avuga ko igurwa ryayo abakirisitu batarimenye kandi igurwa mu mafaranga yari ateganijwe gutangiza banki, nyuma iragurishwa amafaranga asubizwa bamwe abandi kugeza ubu ntibarayahabwa. Ibi byakuruye amakimbirane bituma Dr Gitwaza asaba imbabazi anategeka ko bakongera bakayigurisha. Abantu bazwi mu itorero basabye ko basubizwa amafaranga yabo, barayasubizwa abandi barimo batazi kwivugira barayahombye. Umukobwa uzwi ku izina rya Mutima utuye i Gikondo yasabye ko yakwishyurwa miliyoni imwe yatanze nk’umugabane kugira ngo hatangizwe banki ariko ntarayahabwa kimwe n’abandi badashoboye kwivugira. Amakuru avuga ko Gitwaza akorana na Pasiteri Joseph Nsanurwimo wahoze ayobora itorero rya pantekoti mu Rwanda mbere ya jenoside yakorewe abatutsi ndetse akaba yaranayigizemo uruhare. Ubutaha nzabagezaho inkuru igaragaza imishahara yahabwaga ababishopu bo muri Zion Temple, n’uburyo Bishop Vuningoma yaje kuvuga ko aba Bishop muri Zion Temple bagomba guhembwa umushahara ungana na Miliyoni buri kwezi. Urugero rwa kabiri: abana bo mu Ruhengeri. Mu mpera z’umwaka w’amashuri 2007, mu ishuri ryitwa Ecole Secondaire de Kirambo riri mu Ruhengeri ahahoze ari Komini Cyeru, impembe zarakomanye ngo hadutse ingengabitekerezo ya jenoside mu bana. Mu gihe abanyeshuli bari mu mashuri bakora étude, agatsiko katazwi kagiye mu nzu abakobwa baryamamo, bafata matora enye z’abanyeshuli bacitse ku icumu, matora bakayifata bakayisatura mu buhagarike (sens longitudinal) bakongera bakayisatura no mu butambike (sens transversal) ku buryo matora imwe bayicagamo ibice bine. Nyuma bayisubizaga ku gitanda bagashyiraho n’agapapuro kanditse ho ngo “Twarabishe, ntitwashoboye kubamara, ariko amaherezo tuzabasatura nk’uko izo matera zanyu twazigize”. Etude irangiye abana bageze muri dortoir, babona ibyabaye n’ubwo butumwa, abagera kuri 60 bacitse ku icumu barahahamutse bajyanwa kwa muganga. Polisi n’ingabo barahuruye, bihutira gufunga abana babiri b’abahutukazi ngo bakoze ibyo. Nyamara umuyobozi w’ishuri yigiriye inama nziza. Yasabye ko bamuha twa dupapuro twanditseho ya magambo aserereza abacitse kw’icumu, hagamijwe gutahurwa uwatwanditse bashingiye ku mukono we. Hakozwe copies nyinshi z’utwo dupapuro baduha abanyeshuli bose, babaha n’amakayi y’abanyeshuli bose ngo bose bafatanye gutahura uwakoze icyaha. Mu gushakisha ukuri, amazina babanje kuyasiba ku makayi yose. Nyuma y’ibyo, abanyeshuli bose bahurije kw’ikayi imwe. Ariko basanze ari iy’umukobwa w’umucikacumu , birangira bityo. Nta n’uwamubwiye ati ntuzongere. Aha umuntu akaba yakwibaza ati : iyo biza kugaragara ko ari ba bahutukazi babikoze byari kugenda gute ? 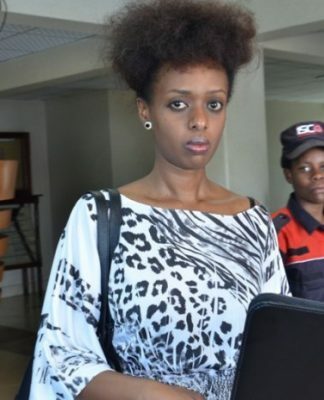 Hamaze iminsi havugwa amafoto acicikanya yumukobwa wa Rwigara Assinapol , Diane Rwigara. Ayo mafoto Diane agaragara yambaye ubusa nkumuntu umaze guterwa akabariro cg se ulimo kwitegura kugaterwa. Bigaragara koa amafoto nuwayafashe ari umuntu baziranye cyane kuburyo uyu mukobwa yaramumenyereye ntanubwo yari yabonye umwanya wo kogosha insya. Muri make ntabwo yari yikemuye. Kuba rero uyu mukobwa yaralimo gutanga igituba Nkuko tubibyirwa nundi muntu umuzi neza witwa RWIRANGIRA Carpophore nawe wumututsi wumuteramwaku kabuhariwe uyu mukobwa asanzwe ari Butwi. Kuba rero ali Halima ntagitangaza kilimo kuko abatutsi mumico yabo batozwa kuba indaya bakiri bato. Abasanzwe bazi imico yabatutsi nuko irangwa nubuhehesi yaba umugabo cg umugore bose nibintu batojwe. Mu gihe u Rwanda rwitegura amatora y’umukuru w’igihugu azaba kuwa 4 Kanama 2017, abantu batandukanye bagiye bagerageza nabo kwinjira mu ruhando rwo gutanga umusanzu wabo mu kuyobora ighugu. Umuto muribo (mu myaka) akaba ndetse ari n’umukobwa, ni Diane Shima Rwigara, umukobwa wa nyakwigendera Rwigara Assinapol, umuherwe w’umucuruzi wari uzwi mu Rwanda. 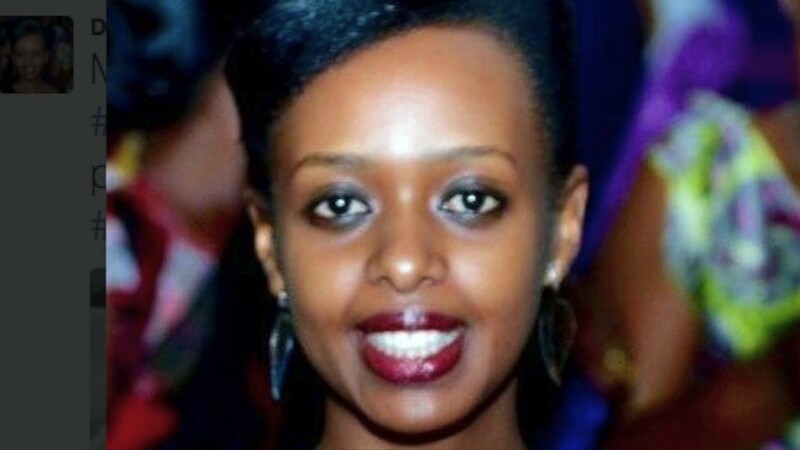 Diane Shima Rwigara yaganiriye n’abanyamakuru kuwa 3 Gicuransi 2017, aho yagaragaje imigabo n’imigambi ye muri politiki ye. 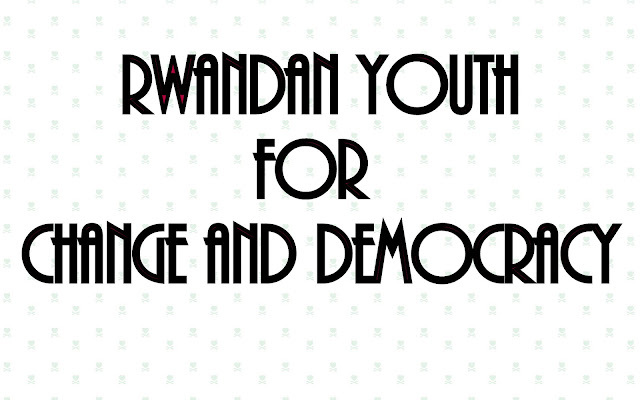 Diane utari usanzwe uzwi uri politiki, akaba nta n’ibkorwa bye bizwi byatuma abanyarwanda bamubonamo ubushobozi, yiyemeje kwinjira mu ruhando rw’abanyapolitiki b’abanyarwanda. Nyuma y’iminsi ibiri gusa amaze kugaragaza imigabo n’imigambi ye, kuwa gatanu, taliki ya 5 Gicuransi 2017 nibwo k mbuga nkoranya mbaga, by’umwihariko kuri whatsapp, hacicikanye amafoto abiri y’umukandida ku mwanya wa perezida wa Repubulika, Diane Shima Rwigara yambaye ubusa buri buri. Ifoto imwe yagaragaye ahagaze yambaye inkweto gusa, afashe positeri nziza rwose bigaragara ko yashakaga kwifoza. Iyi foto yavuzweho byinshi cyane n’abayibonye cyane cyane abataranabonagamo Diane umuntu wakwinjira muri politiki. Bamwe batangajwe no kubona umuntu muzima, umukobwa w’umunyarwandakazi, umwari, atinyuka akemera kwambara ubusa agafata positeri maze bakamufata ifoto. Abaonye iyi foto, bavuga ko iyi ari imico y’abanyamahanga nabo batiyubaha. Abantu bakibaza bati ese uyunguyu yazageza iki ku Banyarwanda. Mu gihe u Rwanda uhanganye n’imico itandukanye ishobora kwangiza abana b’Abanyarwanda, abantu benshi ntibishimiye imyifatire y’uyu mukobwa wifuza nawe kuba yayobora u Rwanda.Abandi bo basaga n’aho bashaka kumunnyega, bagize bati: “Umuntu ujya kwifotoza, akiyambika ubusa nabwo budakorerwa isuku!!! Aha bashakaga kuvuga ku myanya y’ibanga ye ko hatajya hogoshwa. Indi foto ni iyo yifotoje aryamye mu ntebe y’idiva, ubona ko ari umukobwa mwiza wifotoje nka ba babandi dukunze kubona mu mafilimi cyane cyane abakobwa bicuruza. ESE MU BY’UKURI KUKI DIANE YEMEYE KWIFOTOZA AYA MAFOTO YAMBAYE UBUSA? Umuntu wese, by’umwihariko umunyarwanda uzi icyo umuco wacu udusaba, yakwibaa uburyo umwana w’umukobwa, warezwe, yakwemera kwifotoza amafoto y’urukozasoni. N’ubwo hari bamwe bashaka kumuburanira bavuga ko igihe ufite inshuti ikagufotora ari nta kibazo kirimo, ariko ntabwo ubundi bisanzwe ko umuntu yiyambika ubusa bakamufotora. Ibyo biba ku bantu batiyubaha cyangwa se bifitiye izindi ngeso zidakwiriye gushimwa. Ese Mana, iriya myitwarire iraranga umunyarwandakazi ufite indangagaciro zikenewe mu gihugu cy’u Rwanda? Ibi bibazo nibyo byatumye dukora ubushakashatsi ku mpamvu yateye Diane Shima Rwigara ubungubu umaze kugira imyaka 35 y’amavuko. Diane Shima Rwigara avuka kwa Rwigara Assinapol yakuze ari umwana utozwa gusenga cyane cyane ko nyina ari umukirisitu wo mu ba Adventiste b’umunsi wa 7 mu Rwanda ukomeye mu itorero ry’I Nyamirambo. Gusa uyu mwana uko yagiye akura yagiye agira imico itandukanye n’abandi bana bavukana cyangwa abagiye barererwa iwabo. N’ubwo nyina yamreze nk’abandi, ariko guhera nko mumyaka 13 Diane yatangiye kugaragaraho ingeso z’ubusambanyi cyane. Abazi umuryango wa Rwigara Assinapol, bemeza ko uyu mwana w’umukobwa yitwariye imico ya Se neza neza. Burya ngo na Rwigara Assinapol yarabicaga bigacika ku ngingo yo munsi y’umukandara. Ngo no mu rugo iwe hahoraga umwiryane kubera guca inyuma umugore we. Diane rero yakomeje gukura yiga neza nk’abana b’ababkire bose, ariko ingeso ye iranga iramunanira. Bivugwa ko hari ubwo yigeze kurwana na nyina, ubwo nyina yamusanganaga ibinini byo kuringaniza imbyaro kandi umwana akiri ku myaka 18. Ibi byateye impungenge nyina cyane. Ndetse bituma nyina atangira gusaba abakirisitu b’I Nyamirambo kujya bakora icyumba cy’amasengesho kugirango basengere umwana we. Diane yongeye kugira ingorane kubera gufata imiti irinda gutwita yanywaga, arwara ibibyimba byo mu mura /nyababyeyi / Uterus. Ibyimba byaramurembeje, kugeza ubwo nyina wagowe amujyanye kwa muganga, baramubaga babikuramo. Kumubaga ibibyimba byamubayeho inshuro zigera kuri eshatu (ku myaka 22, kuri 27 no kuri 33). Reba inkovu iri kunda yo hasi (Bas ventre) aho bamubaze bakuramo ibibyimba. Abamuzi neza bemeza ko impamvu yangaga agakomeza gukoresha iyo miti ko ari uko Diane akunda gusambana cyane ku buryo atakwihanganira iyo ngeso cyane cyane iyo yanyoye kuri manyinya dore ko utubari two mu Kiyovu ari umukiriya watwo uhoraho. Ikibabaza benshi ni uko iyo yanyoye inzoga, atabasha kwigarura, aranywa agasinda ugasanga akabari yagahinduye urusengero aririmba indirimbo zo muri 200 (igitabo cy’Abadiventi), ubundi umusore ushobye akamutahana. DIANE NKABANDI BATUTSIKAZI MUBONA HANO MURI KIGALI BOSE BASAMBAN BUTWI...NIBA "HORA NTAGUHA RUGONGO..."
Nta gitangaje ko Diane yakwifotoza yambaye ubusa kuko kuri we kwambara ubusa si igitangaza. Kuri we ngo iyo ukundana n’umuntu nta kibi cy’uko yagufotora wambaye ubusa. Ndetse Diane kuri we ngo nta n’ubwo ariya mafoto ariyo yonyine yifotoje yambaye ubusa.Yego n’ubwo bwose byamuteye ikimwaro ku buryo atakivuga afite izima, ariko ngo kwifotoza wambaye ubusa ni ibisanzwe. Bivugwa ko uwigeze kuba inshuti ye Robert Mugabe uzwi ku izina rya Bob Mugabe, ariwe ushobora kuba yari atunze ariya mafoto, ariko nta wabyemeza kuko Diane Rwigara yasambanye n’abagabo n’abasore ibihumbi n’ibihumbi kandi bagiye bamukora ibyo bishakiye. Ibi bivuze ko amafoto ya Diane yambaye ubusa ashobora kuba afitwe n’abantu benshi batazwi. Kera amasaha ya kizungu ataraza, Abanyarwanda bari bafite amasaha bagenderagaho. Ntabwo yerekanaga igihe gihamye buri gihe, byaterwaga n'uduce tunyuranye n'ibihe. Dore uko yavugwaga kuva mu gitondo kugeza mu kindi gitondo: (munkosore aho nibeshye cg mwongereho icyo nibagiwe). Murukerera rwo kuruyu munsi wo kuwa 4/5/22017 ibyo inama ya bene kanjogera yari yarayemo icura imigambi yo kwanika mubyara wa bene Kanjogera yahise ibyara amatunda. 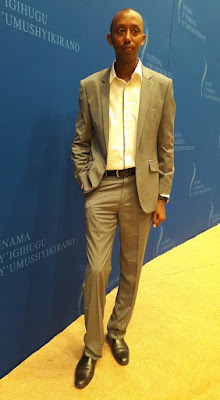 Nkuko umunyamakuru wacu wari waraye abikurikirana nyuma yaho umukobwa wo kwa Nyakwigendera Rwigara Assinapol atangarije ko ashaka guhangana na mubyara we Paul Kagame kumwanya wo kugumya guhaka abahutu. Ntibyaguye neza ingoma yabidishyi kuko Paul Kagame na bene Kanjogera bose bazi neza ko nta munyarwanda numwe wifuza gutora Kagame. Kugirango bice isura yuyu mukobwa wa Kanjogera maneko ya Paul kagame yahise ishiraho ikipe ishinzwe gusesereza uyu mugore. Nkuko tubikesha abanyamakuru bacu bari hano i Kigali iyo kipe igizwe na ba bakurikira. Nkuko mugenzi wacu wabikurikiranye neza yabidutekerereje. Hahamagajwe inama yikitaraganya yabereye murugwiro aho abashinzwe iperereza numutekana wa Paul Kagame basabye bamwe mubanyamakuru bakorera iperereza rya FPR nka The New Times bahawe amabwiriza yuko bagomba gukora ibishoboka byose kugirango bandarike Diane Rwigara. Uwitwa Kayitare yabwiye iperereza rya Kagame ko harumusore wumunyamakuru usanzwe ari umukunzi wa Diane ko nubwo batazarushingana nkuko Diane yabivuze ko ahubwo icyuwo ubwo bucuti bwabo bushingiyeho ari ugukozanyirizaho gusa. mubyukuri uyu musore na Diane bamaranye imyaka myinshi cyane kuburyo amabanga yose ya Diane ayazi neza. Koniba haramakuru yose bashaka kumenya bayasaba uwo munyamakuru. Maneko za bene Kanjogera zimaze kumva iyo nkuru zahiseziruhutsa maze zirarebana ziba zisekeye icyalimwe kuko zisanzwe zizi uwo uwo munyamakuru ariwe. Kuko nyuma yuko Rwigara ASSINAPOL yicwa urwagashinyaguro ubwo FPR yohereje ikamyo yo kumunyura hejuru ntahite ashiramo umwuka uyu musore wumunyamakuru niwe wahageze ubwambere maze afata amafoto yose twagiye tubagezaho mubinyamakuru byacu. Inkomoko y’aya mafoto kugeza ubu ntabwo iramenyekana neza gusa kuva ku munsi w’ejo yashyirwa ahagaragara, hatangiye kuvugwa amakuru menshi ayerekeyeho. Ibinyamakuru byo muri Uganda byatangaje ko yatangiye gukwirakwizwa muri icyo gihugu ku mbuga za WhatsApp ahagana saa tanu za mu gitondo. Gusa hari andi makuru avuga ko hari umuntu wakwirakwije aya mafoto yifashishije ‘email’ aho yayoherereje abantu batandukanye biganjemo abanyamakuru. 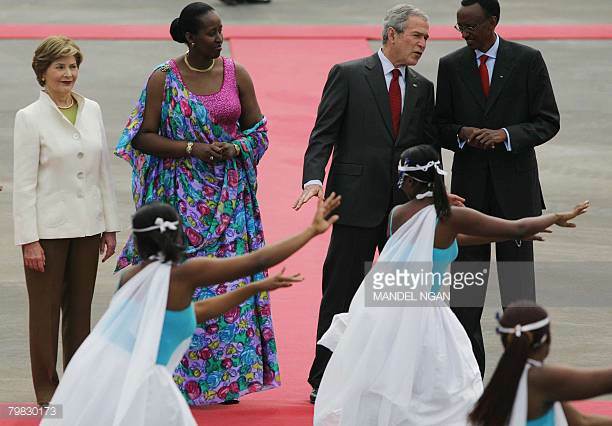 Amakuru yizewe agera kuri IGIHE avuga ko aya mafoto yafashwe n’Umunyamakuru Robert Mugabe wari umaze igihe kinini ari mu rukundo na Diane Rwigara. Abantu ba hafi b’uyu mukobwa ushaka kuba Perezida wa Repubulika, bavuze ko kuva aya mafoto yajya ahagaragara, yijunditse mu buryo bukomeye Robert Mugabe amuziza kuba yaratangaje aya mafoto. Ku rundi ruhande, abantu ba hafi ba Robert Mugabe bavuga ko we yasobanuye ko yibwe telefoni ariho ayo mafoto yavuye ajya gushyirwa kumugaragaro. Bivugwa kandi ko aba bombi bakundanye mu gihe cy’amezi atandatu harimo n’ayo bamaze babana mu nzu nk’umugore n’umugabo. Nyuma ngo bagiranye ubushyamirane urukundo rwabo rurangira nabi. Kuva ku mugoroba wo kuri uyu wa Gatanu ubwo aya makuru yari atangiye gusakara, twagerageje kuvugisha Robert Mugabe ku murongo wa telefoni ye igendanwa ariko ntibyadukundira. Hagati aho, kuri ‘email’ yohererejwe abanyamakuru batandukanye ibasangiza aya mafoto, bivugwa ko hagaragaramo ifoto y’umunyamakuru Robert Mugabe ari kumwe n’abandi bantu, ku buryo n’ubu hataramenyekana impamvu nawe ifoto ye igaragara ku buryo nabyo byaba bifitanye isano n’ibivugwa. Ese bigenda bite kugirango leta ya FPR yashizweho numuryango wa Rwigara igeraho ifata umwana wagaburiye bene Kanjogera akabaha nakaryoshye bamufate bamwandagaze ngo kuko yavuzeko ashaka kwiyamamariza umwanya wo guhaka abahutu? Ese bene Kanjogera Shitani ntiyaba yabatahiye koko? Iyo bene Kanjogera basubirana nibyiza kubanyarwanda kuko bene Ngofero baba babonye agahenge bakaruhuka imihini nimihiri ya bene Kanjogera. DIANE RWIGARA YEREKA UMUKUNZI WE UBWIZA BWO MUKIBAYA CYAE EDEN ANAMUBAZA NIBA ATAMUBEREYE MUKAGATARE.